Images revealing what the stations will look like on the new Elizabeth line when it opens in 2018 have been released by Crossrail Limited. The route will link 40 stations through London and the south east, between Reading and Shenfield. 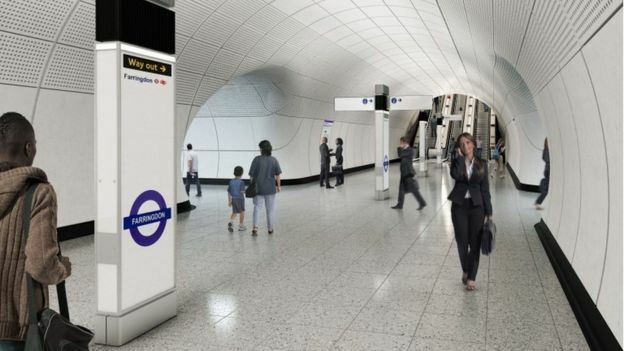 The firm says every station will have a "distinct character" to reflect the heritage of the surrounding areas. 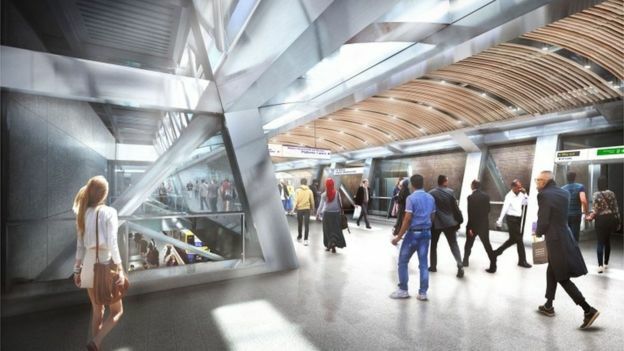 Designs for the railway are on display at the Royal Institute of British Architects (Riba). 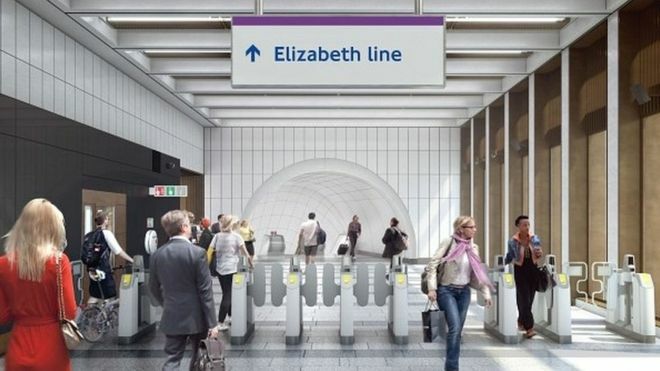 Julian Robinson, head of architecture at Crossrail, said the railway "draws upon the fantastic transport architectural heritage of London". According to Crossrail, which is building the route, the new station at Paddington is influenced by Isambard Kingdom Brunel's existing terminus building and all components will closely follow his 10ft imperial grid system. 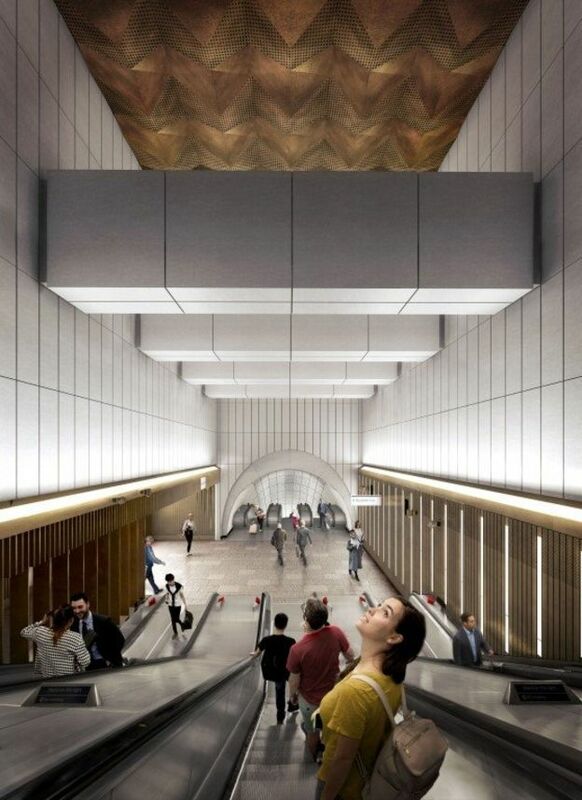 It added the station's internal design will reflect original designs by architect Matthew Digby Wyatt. 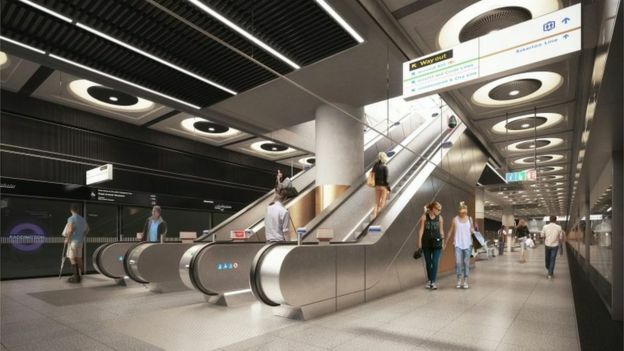 Meanwhile, the new station at Farringdon "will take inspiration from the historic local trades of blacksmiths and goldsmiths, as well as the distinctive architecture of the Barbican". The ticket halls will have diamond pattern work in the interiors to reflect the area's jewellery link and there will also be a nod to the River Fleet which flows immediately below the station. 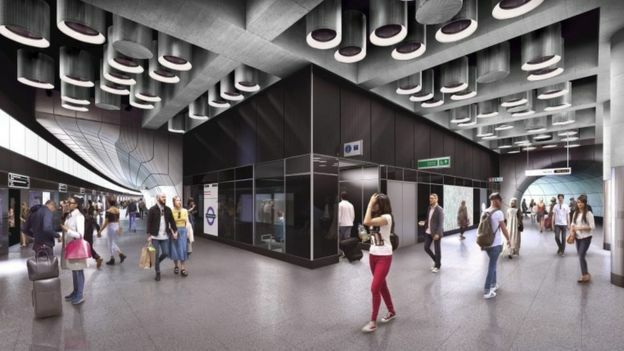 Tottenham Court Road station's ticket hall will be located at Dean Street in Soho, and in keeping with the nightlife of the area the western ticket hall will have black colour glass and stainless steel interiors to reflect the "nocturnal economies" in the area. All new stations will also be free of steps from the train to the street. The first section of the route is due to open in December 2018 and will be run by Transport for London (TfL).